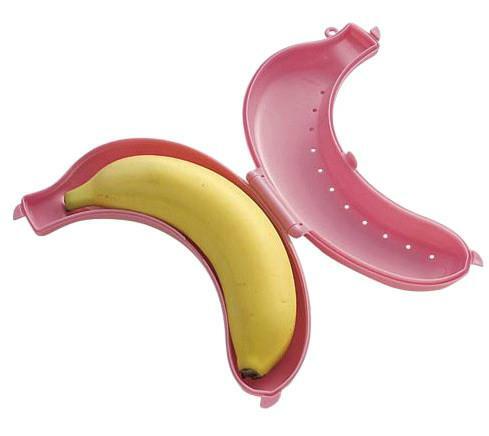 Banana container that you can store your bananas in to prevent them being crushed. Quite a novel and interesting idea that is also quite useful, particularly for people who pack there bags heavily but do not really bother with lunch boxes. 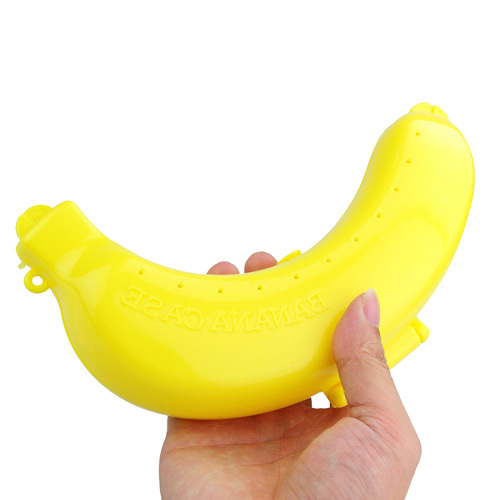 Protects your Banana from being crushed in your bag. 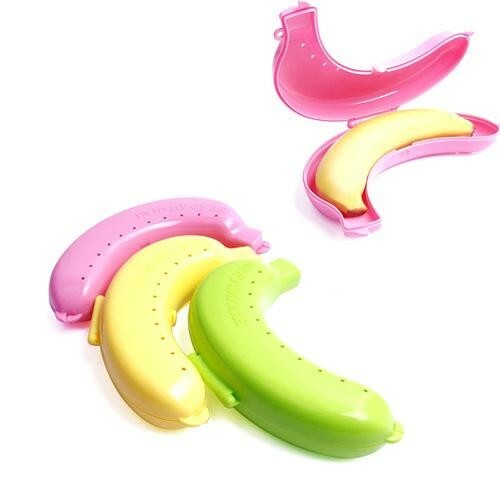 Little holes in the side make it so the Banana can breathe. Two snap together clips on either end that prevent the case from opening. A little loop near the top lets you tie or clip it into things. Comes in three colors: pink, yellow and green. Unfortunately, this is random so you cannot choose color. Its luck. The item is 20 cms long, which is about 8 inches. There are a few simple positives of the item. The first of these is that the plastic is very tough. You can basically throw your Banana off buildings. In fact, you SHOULD throw your Banana off buildings to get maximum value from the case! This case will not break in your bag, won’t break and smush your banana when you go for a hike or bike ride. In fact it probably is quite good for people that exercise by going on such adventures. The main negative of the item is that it can look just a bit too tightly. The lock mechanism is on both ends and functions quite a lot like a purse lock, with one tab locking in over the other. As such it can be a bit difficult to open so people interested in giving this to their children should give them a quick test run to see if they can open it. On the plus side it will not be flipping open by accident in your bag. The short version is that this item is a nice, hardy item of quite good quality that suffers just a little bit because its sturdiness can make it hard to open.